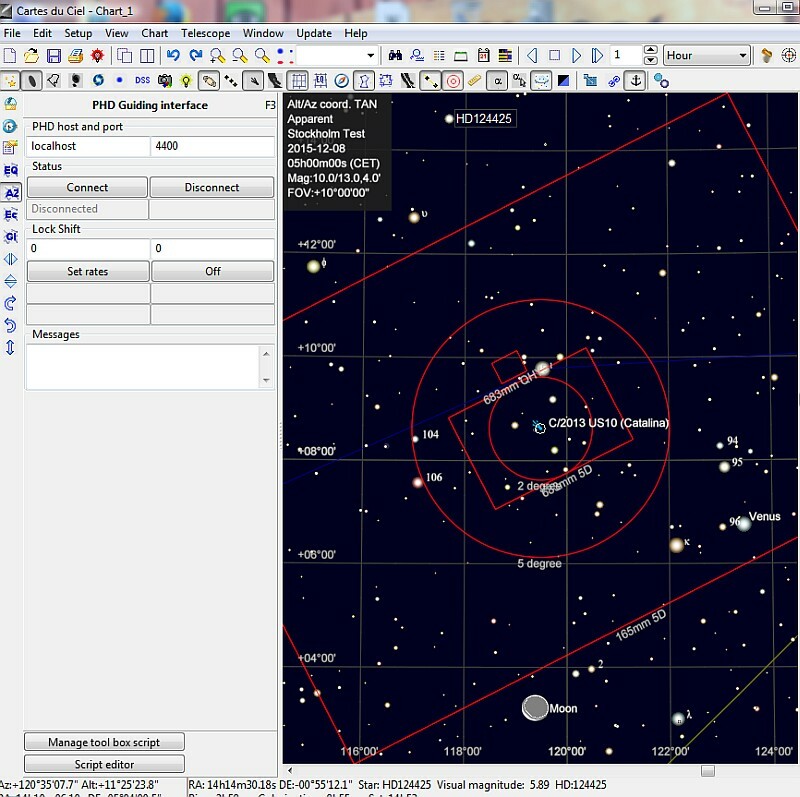 Now, with CdC (Skychart Beta version) up and running you can transfer the needed data from that software. Under setup you have "manage tool box setup" it's a new function in CdC. Here you see how I have it setup. 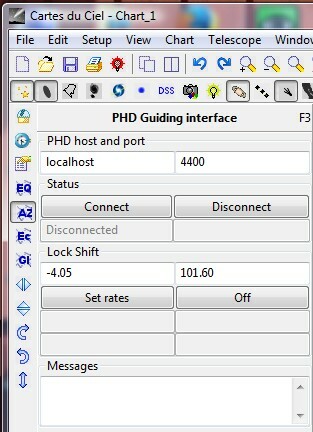 What you need is the "PHD Guiding interface". If it's not there, right click on an empty line and choose it. Some simple steps to find the comet guide rates. Now you will have this tool under some F key, in my case the F3 button. Push F3 (or your F function key) to get the menu up. PHD host and port are normally all ready there. 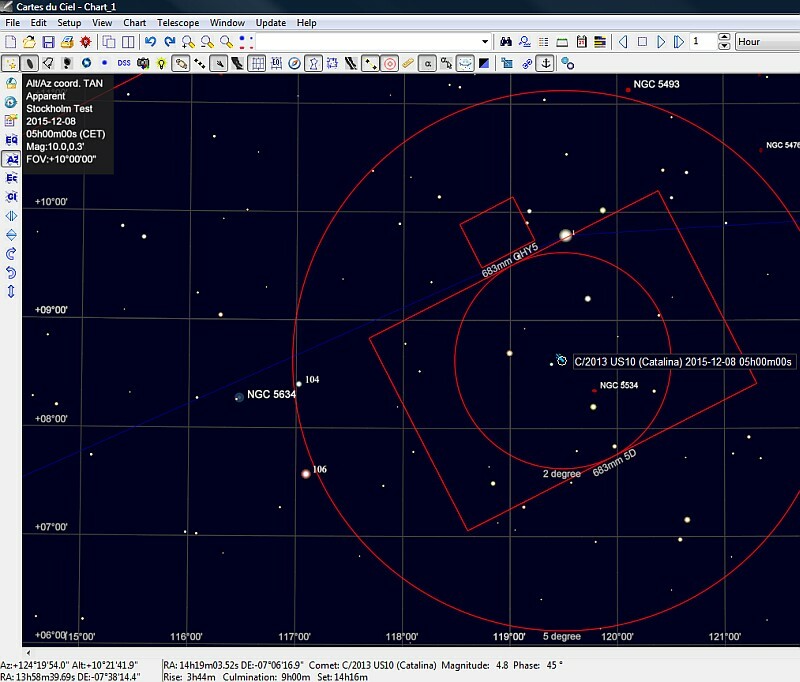 Choose a comet or asteroid you want to track and guide on. When you left click on the object you will get the relative speed data under Lock Shift menu. Click on the Connect button and CdC will connect to PHD2 and to other equipment that run over ASCOM. The click on "Set rates" and data will be transferred to PHD2. How it will look in CdC with the comet drift speed. 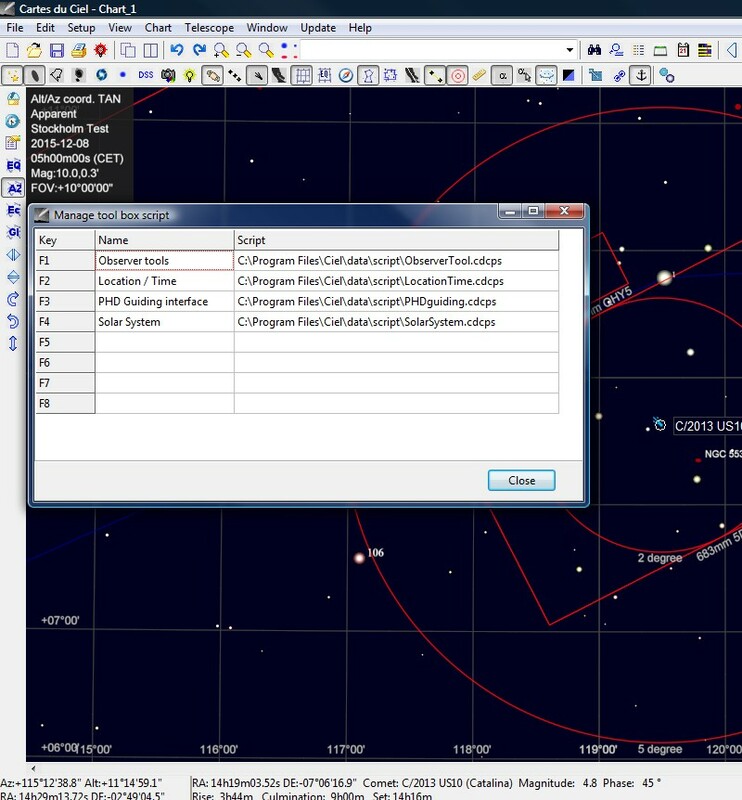 You must also have the latest orbit data for your comet or asteroid, you can download it in the setup menu of CdC.